They consist of a wide array of models, each incorporating various components to accommodate for the comprehensive needs of individuals requiring a complex rehab product. 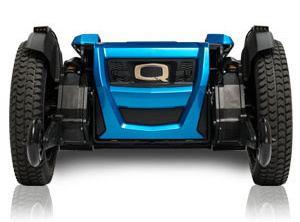 The Quantum Edge 3 with industry-first 4.5 mph at iLevel offers the most advanced power chair experience ever. 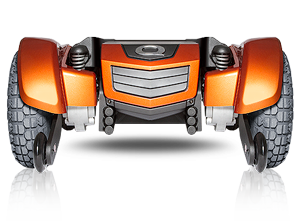 Q6 Power Chair Series, which includes the Edge 3, Q6 Edge® 2.0, Q6 Edge® Z, Q6 Edge® HD, and Q6 Edge® 2.0 X power chairs, provide highly adjustable mid-wheel drive power bases. 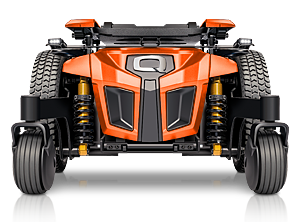 The Q6 Edge 2.0, Q6 Edge Z, and Q6 Edge HD all accept our optional iLevel® technology, which offers up to 12 inches of lift at 4.5 mph. The 4Front® is a quiet, more responsive front-wheel drive power chair that features automotive-grade suspension with unprecedented comfort and rides quality. 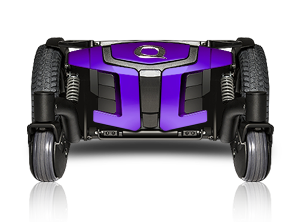 The Quantum Rival® Power Chair delivers an excellent rear-wheel-drive base that also accepts a broad range of solutions. Other power bases include the Kozmo™ and Kozmo™ Portable Pediatric Power Chairs, as well as the compact, mid-wheel drive J6 and the bariatric front-wheel drive Q1450. 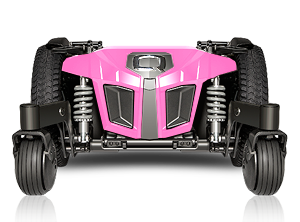 There are upgraded features such as SRS (Smooth Ride Suspension), fender lights, a USB charger, and drive wheel color accents. The Edge 3 is the most advanced power chair experience ever! It is also available with our 4.5 mph iLevel technology. 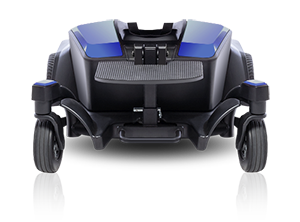 Some features include standard 6 mph motors and advanced responsiveness. The Q6 Edge® 2.0 Power Chair accepts a complete range of seating and electronics options. It’s also available with our iLevel® technology. The 4Front® is a quiet, more responsive front-wheel drive power chair. It features automotive-grade suspension with unprecedented comfort and ride quality. The 4Front accepts a wide variety of seating and electronics options. 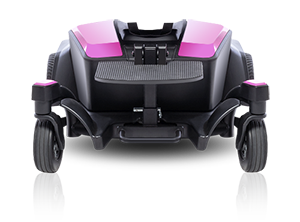 It’s also available with 10″ of power adjustable safe seat elevation at speeds up to 3.2 mph. 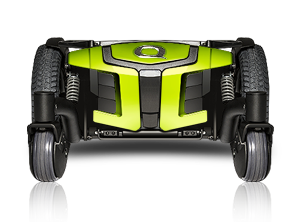 The Q6 Edge® Z Power Chair utilizes powerful motors and Mid-Wheel 6® Design for superb performance and maneuverability. The Q6 Edge Z offers a broad range of seating and electronics options. It’s also available with our iLevel® technology. 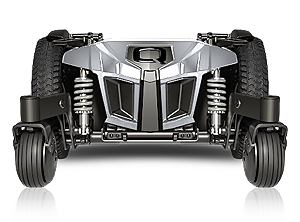 Features include standard 4-pole motors, Mid-Wheel 6® Drive Design and ATX Suspension. The Q6 Edge® HD Power Chair accepts a complete range of seating and electronics options. Yes, it is also available with our iLevel® technology. The Quantum® 1450 front-wheel drive bariatric power chair features an innovative design that provides exceptional outdoor performance. 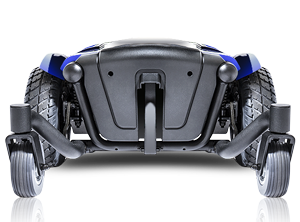 It even delivers outstanding tight space maneuverability. 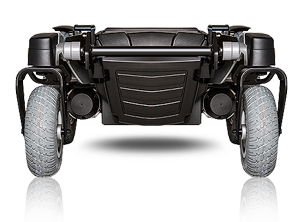 The Rival® rear-wheel drive power chair features an innovative design that provides exceptional outdoor performance and handling. It also delivers outstanding tight space maneuverability. The Q6 Edge® 2.0 X Power Chair accepts a complete range of seating and electronics options to deliver exceptional rehab capability at an excellent value. It is also available with our iLevel® technology. The J6 Power Chair is the ultimate choice for clients who demand the stability of Mid-Wheel 6® Design and tight-quarter maneuverability. The all-new Kozmo™ is engineered to meet the needs of even the most active child. The Kozmo’s highly compact size provides easy access to kid-sized spaces. It also has kid-friendly color choices to add a fun, personal touch. The all-new Kozmo™ Portable is engineered to meet the needs of even the most active child. One-hand, feather-touch disassembly makes transport fast and convenient for parents on the go.